The prevalence of chronic pain increases with age. The pain occurrence in the elderly ranges from 25% to 80% in different countries. Ischemic heart disease is also prevailing in the aged people. Restored blood flow quickly rescues myocardium but also causes ischemia-reperfusion (IR) injury. Brief episodes of ischemia at a distant organ could reduce the myocardial reperfusion injury. This is called remote ischemic preconditioning (RIPC) cardioprotection. Several circulating factors and neurogenic signals contribute to the cardioprotection by RIPC. Preinfarction angina, a form of chest pain, is associated with significant cardioprotection in myocardial infarction patients. Activation of peripheral nociception also induces cardioprotection against IR injury via neurogenic pathway. It is possible that angina also induces nociceptive signal pathway to provide cardioprotection. It is unclear whether pre-existing chronic pain will also have a cardioprotection effect. 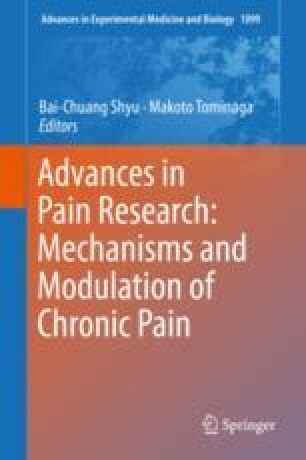 We recently reported chronic neuropathic pain attenuates cardiac IR injury in mice. ERK activation in anterior nucleus of paraventricular thalamus (PVA) is required for this remote cardioprotection. Direct activation of PVA neurons also provides cardioprotection against cardiac IR injury. Chronic neuropathic pain-induced cardioprotection requires activation of parasympathetic nerves. This review summarizes the potential interaction of chronic pain and cardiac IR injury.